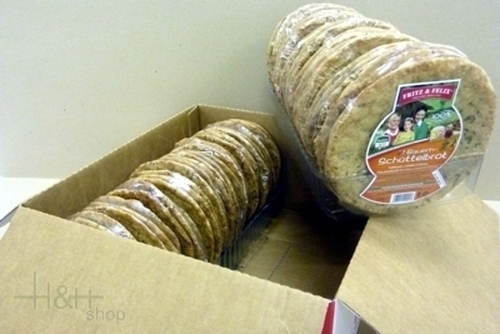 Ingredients: Rye flour 76%, wheat flour, yeast, salt, rosemary 2%, malt extract, malt flour. Hard cheese bovine milk, Appearance: orange rind, Aroma: fruity, Flavour: sweet - spicy, Consistency: brittle - crumbly, Maturation: 6 - 8 months. Crispy Bread with Wholemeal Spelt package 125 gr. 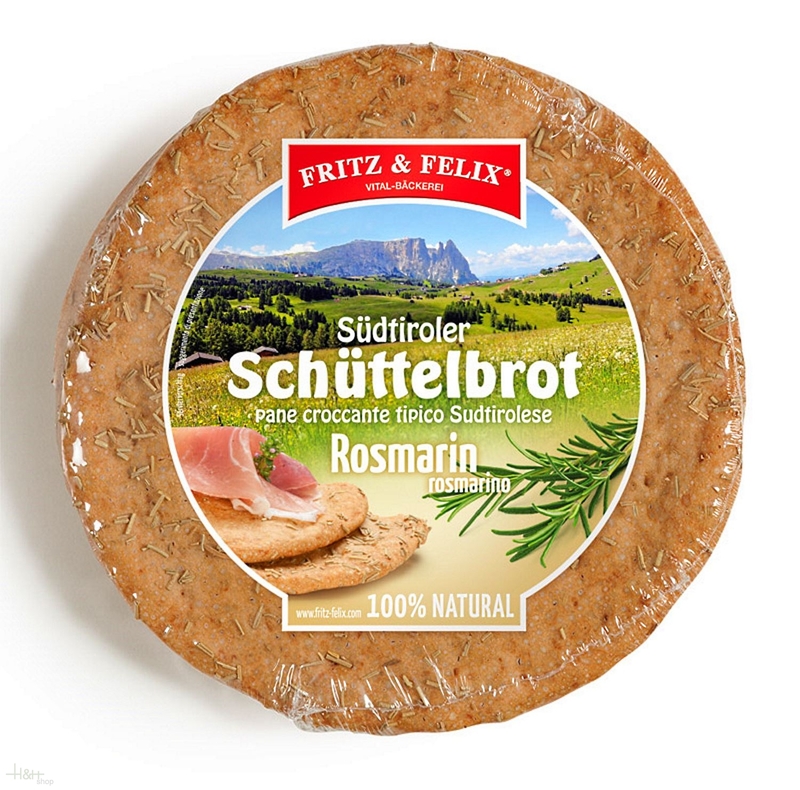 - Fritz & Felix 2,05 EUR / 1,64 €/100 gr. 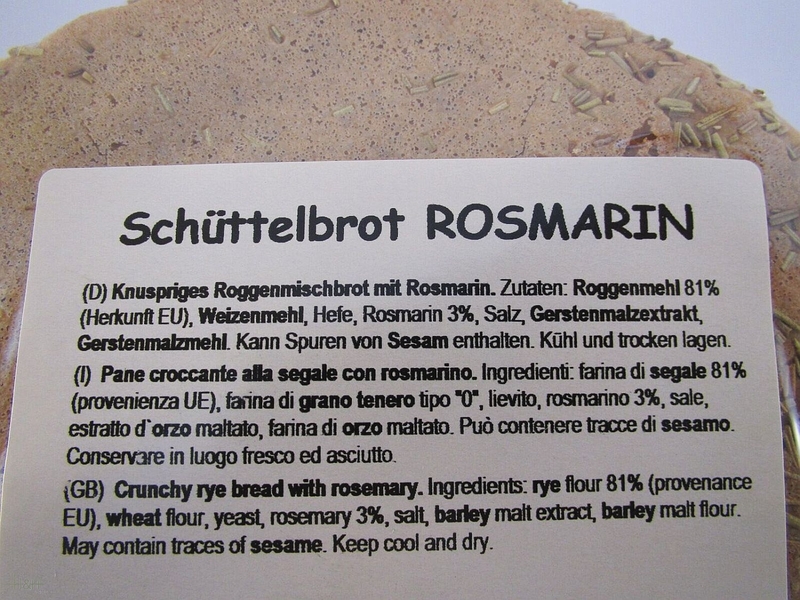 Schüttelbrot Crisp Bread Wholemeal - 155 gr. - South Tyrol 4,40 EUR / 2,84 €/100 gr.